I was headed out the door to go catch a flight to NYC for tomorrow’s Motorola event when I almost tripped over an unmarked black box sitting there. What could it be? Oh, just something related. If everyone’s mind is all over the Google/Samsung event that will air live tomorrow night, Motorola is going to do their best to get you to think about their event for the DROID RAZR instead. What I found inside the box was a bunch of hints to what will be on display – that would be the same phone we outed from their teaser site just an hour or so ago. To see what was inside the box, hit up the break. 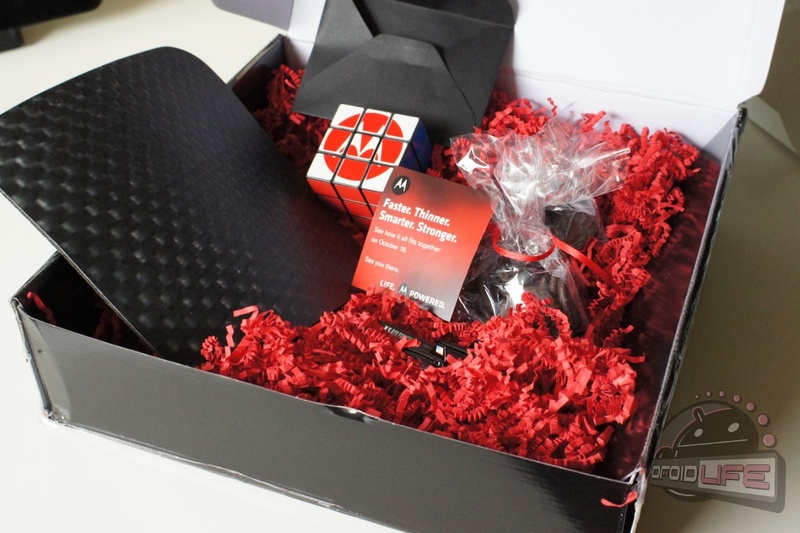 So we have a Rubiks cube, kevlar/carbon fiber mouse pad, mini blackbird jet, and some chocolates. 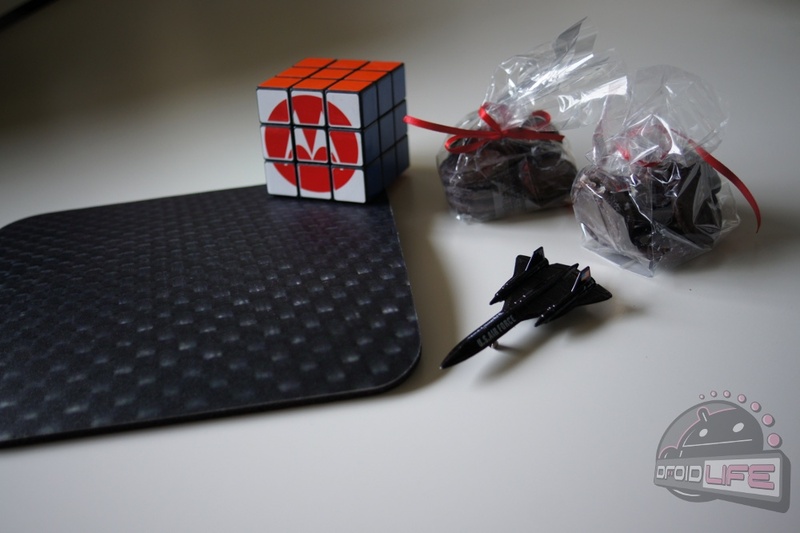 The Rubiks cube matches up to the “smarter” line, kevlar mouse pad for “stronger”, jet for “faster” and chocolates are assuming for “thinner.” (Maybe that’s a hint at not eating them if you want to remain thin?) 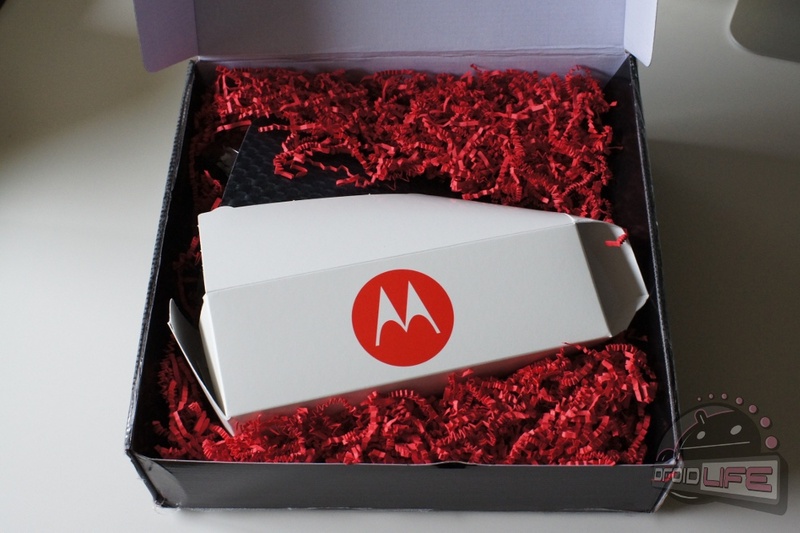 Moto and Verizon sure know how to tease a launch, don’t they?